Whenever someone asks me where they should stay when visiting Yosemite National Park, I never hesitate. 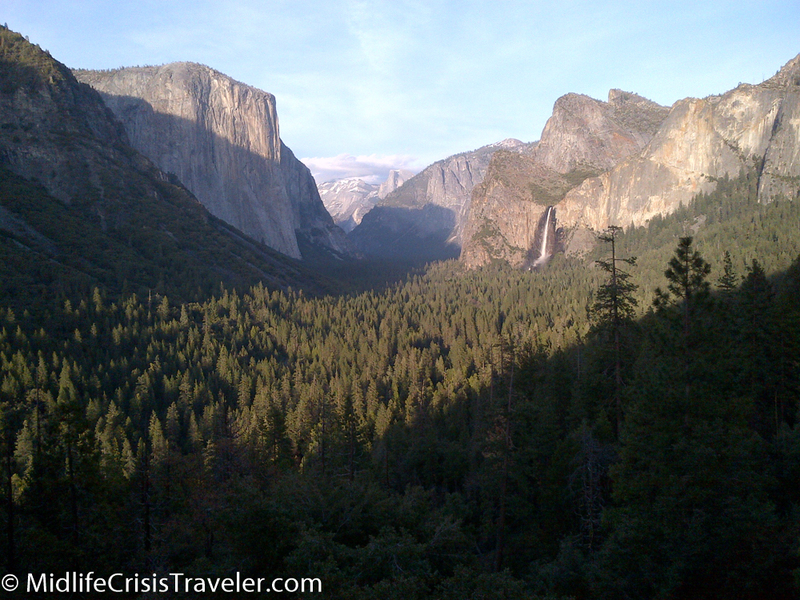 There’s a small town down Route 140 about 40 miles from Yosemite Valley called Mariposa. It has about 2000 residents who make their livelihoods from park visitors with several lodging choices and a couple of taverns. 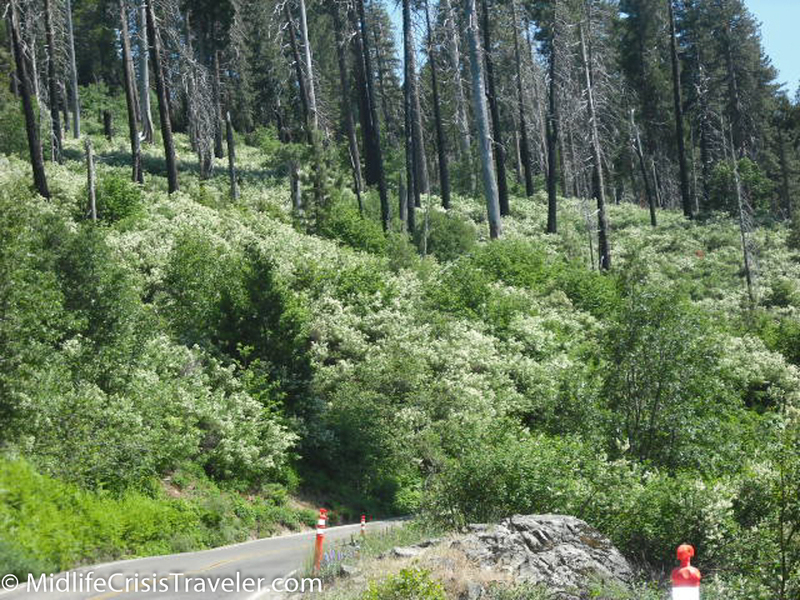 The drive up Route 140 sets the tone for what you are about to experience in the park. 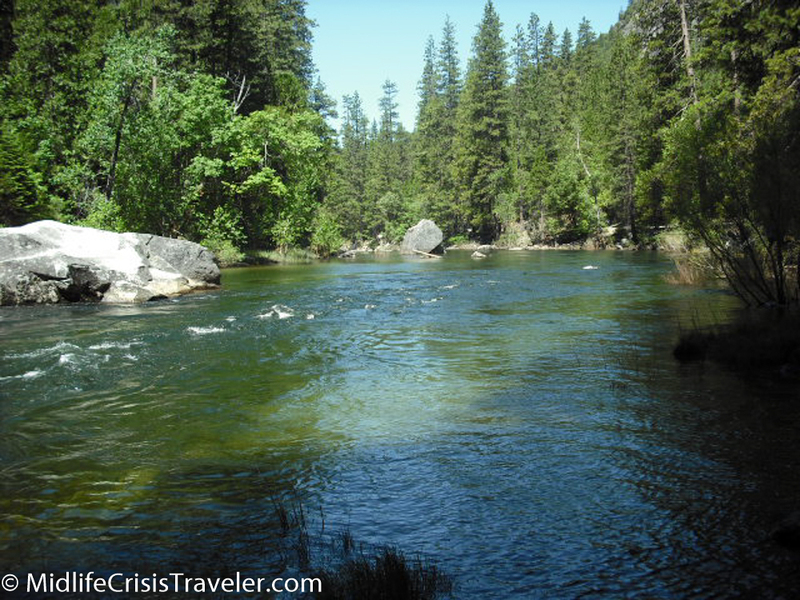 The road hugs the Merced River and provides a relaxing view of mountains, water and vegetation. In one section, you must take a one-lane bridge across the river because part of the eastern road was destroyed after a rock slide (see pictures below). The rockslide destroyed the road on the right side of the river. As you get closer to the park, the rapids get more treacherous. In many areas, swimming, boating, wading and fishing are prohibited. The water is so rough, fast and unforgiving that you would suffer serious injury or death if you fell. 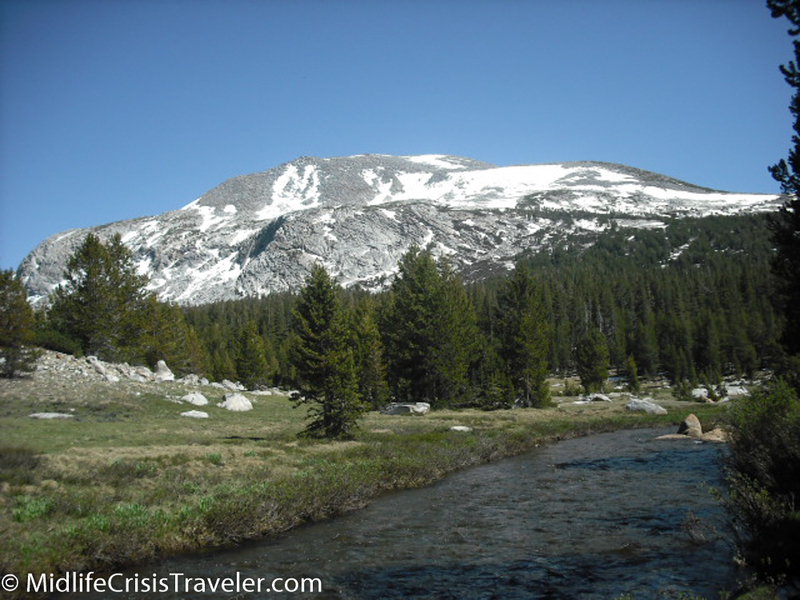 The upper Merced River in many parts of Yosemite National Park is much calmer and slow moving. The water is so clean and clear from the snow melt that you can see the color of the stones at the bottom. The first major waterfall you encounter when entering the park is Bridalveil Falls. 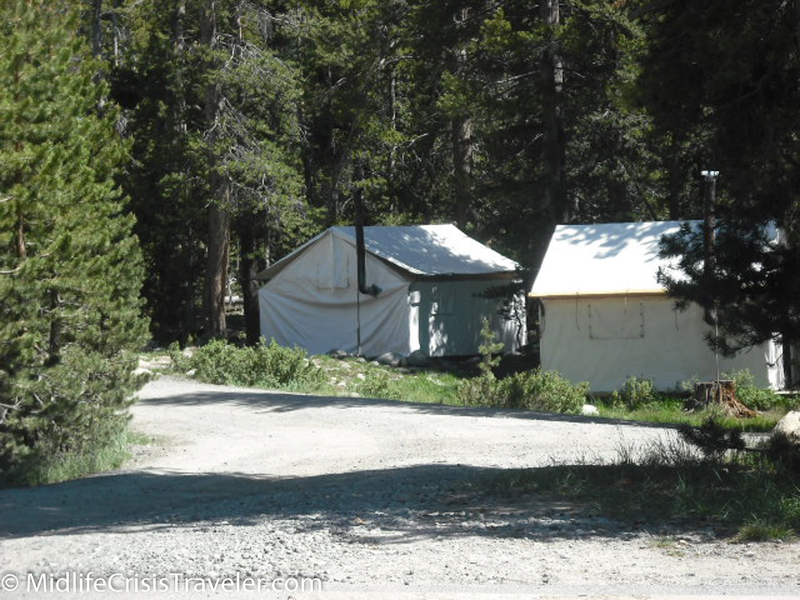 It is on your right as you drive into Yosemite Valley and is a short walk from the parking area. You can walk right up to the falls and be sprayed with its mist which can be refreshing on a hot summer day. 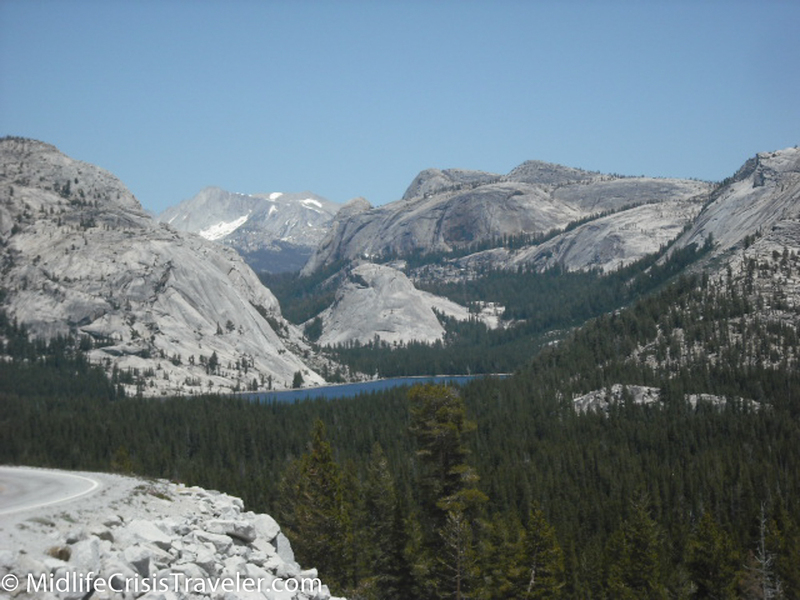 Tenaya Lake is a very popular locale to rest and relax. The surrounding mountains feed the lake and provide a peaceful space for humans and wildlife. Yosemite Falls is the crown jewel of waterfalls in the park. At 2,425 feet, it drops in three sections, the bottom of which can be accessed by foot. The roar of the falls can be heard in the surrounding meadows when the flow is strong. 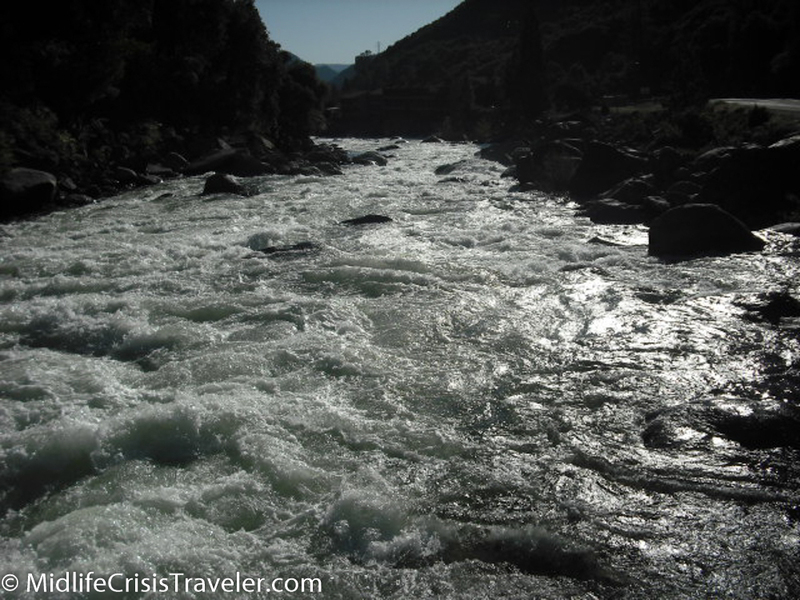 The flow can dwindle in the late summer and into the fall season. Water can appear out of anywhere in the park, especially in the later spring and early summer. As the snow rapidly melts, waterfalls form and may run for months before drying up just before winter visits again. Such is the case with Ribbon Falls, which is a couple of miles down the road from Yosemite Falls. 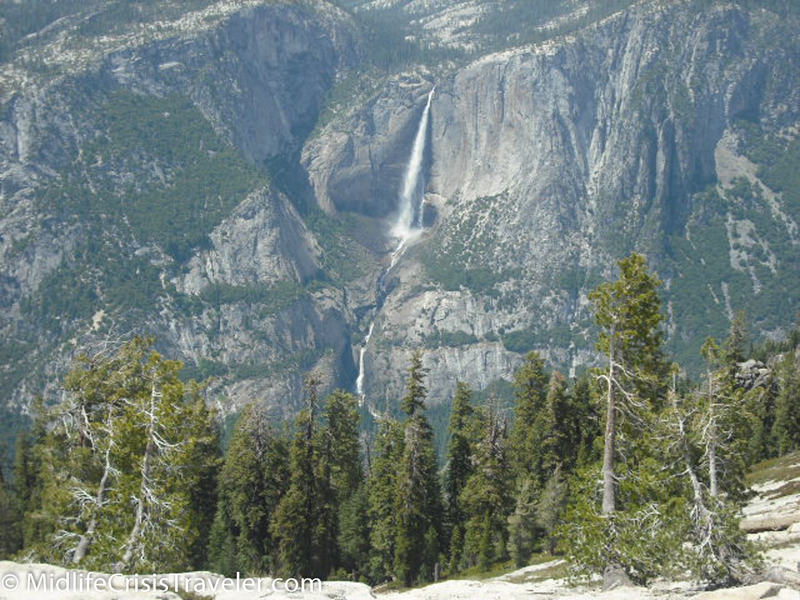 It is longer than the upper Yosemite Falls drop but has a much narrower flow of water. The beauty of the larger waterfalls cannot be matched but the simplicity of some of the smaller roadside waterfalls and lake tributaries beautify all areas of the park. Keeping your eyes peeled is a necessity to capture the full scope of how water cleanses and breathes life into Yosemite National Park. Do you have a favorite waterfall, lake, body of water? Where is it located? Why is it your favorite? When I was a kid, the ABC Wide World of Sports TV show profiled several professional mountain climbers. They would detail the hundreds of hours of preparation the climbers took planning the route, purchasing their supplies, consulting with their guides and getting into tip top shape. While watching the show, I thought it would be cool to wear the boots with spikes on them and have an ice axe in hand. But then I thought, who would want to go through that much pain in icy conditions and bone-chilling temperatures for days just to stand on top of a rock for a few minutes then climb back down? 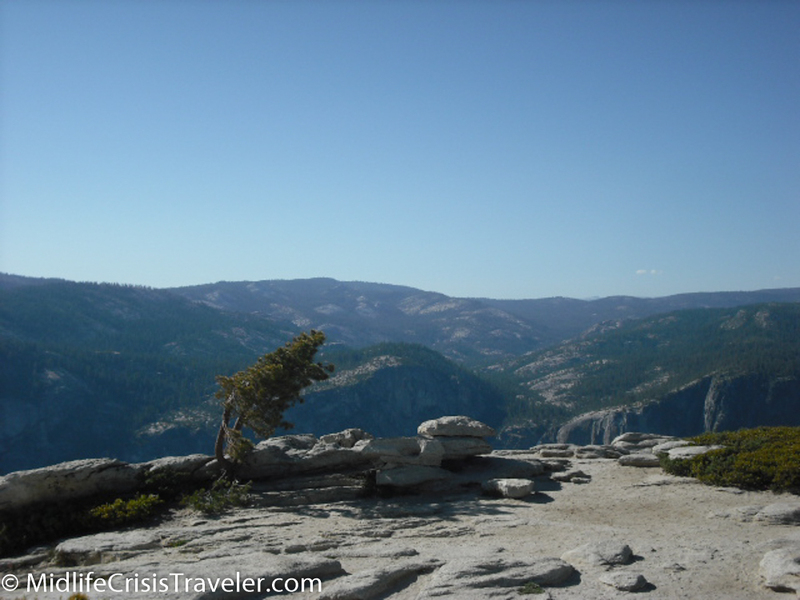 I never truly understood the feeling that the climbers felt from scaling thousands of feet to stand on top of the world…..until I went to Sentinel Dome. Views of Sentinel Dome from the trail. Now I am fully disclosing that I did not need spiked boots or an ice axe to climb Sentinel Dome and it was a warm 80 degrees in July when I made the 1.2 mile hike. Despite my lack of pain and struggle to reach the summit (I did experience a shortness of breath due to the elevation), I fully understood why climbers get that euphoric feeling rushing through their veins when they are standing on top of the world. Sentinel Dome gives you a spectacular 360 degree view of Yosemite and a unique vantage point to take in Yosemite Valley. For those who do not wish to hike for miles and miles, this is the best view with minimal effort. The hike is not without some challenge as the footing can get precarious on the trail so make sure you are wearing quality footwear. Everyone who I’ve encountered who has made the trek to Sentinel Dome agrees that it is their favorite spot in the park. Some squirrels love living on top of the world. Sentinel Dome and Taft Point are located just off the Glacier Point Road with a small parking lot (about a mile from Glacier Point) on the west side of the road. If you walk left from the parking lot you will end up at Taft Point while walking to your right takes you to the path for Sentinel Dome. Both hikes are just over 2 miles (roundtrip) in length. 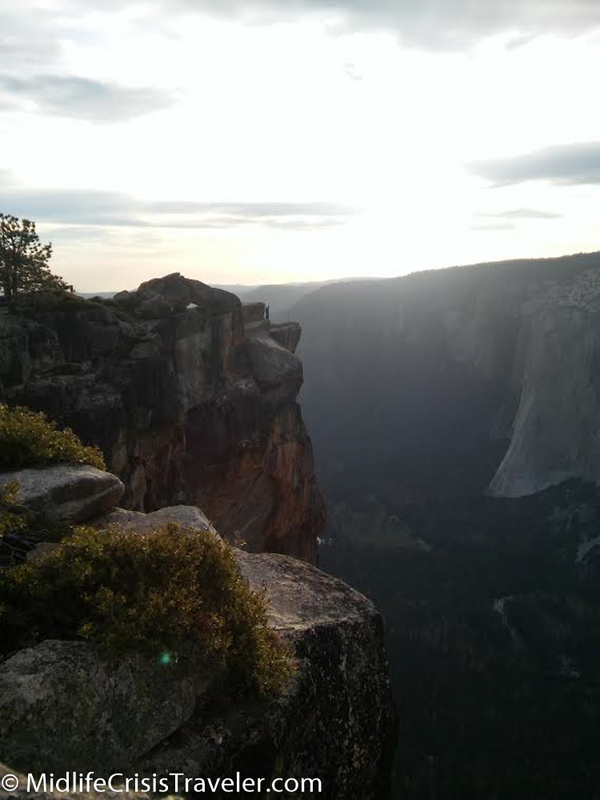 Taft Point promises views that are hard to come by anywhere else in the world. 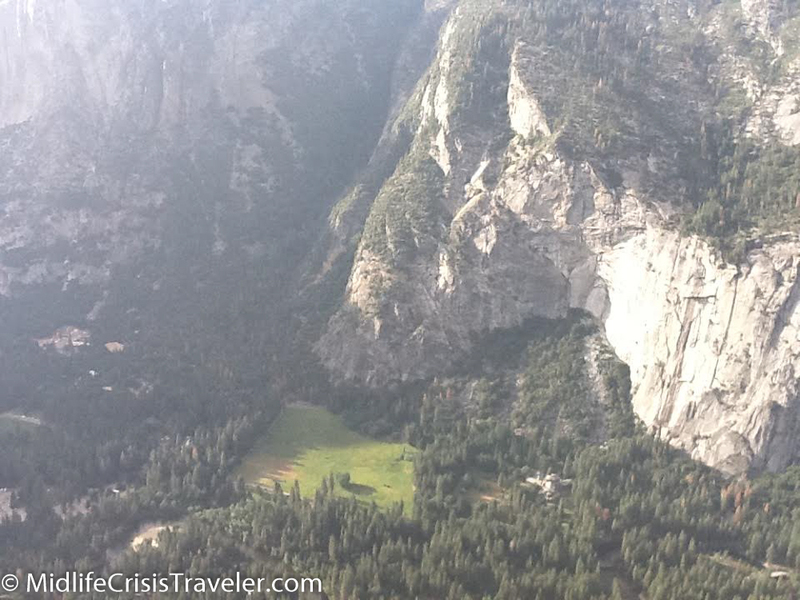 You can walk to the edge of a cliff and look straight down 3000 feet. To give you some perspective, the Empire State Building is 1454 feet tall so the Taft Point view is like stacking one ESB on top of a second ESB. I willingly admit that I have a fear of heights to I’m not one of those folks who will sit on the edge of the cliff with their legs dangling over the edge. The sunsets are pretty nice too. 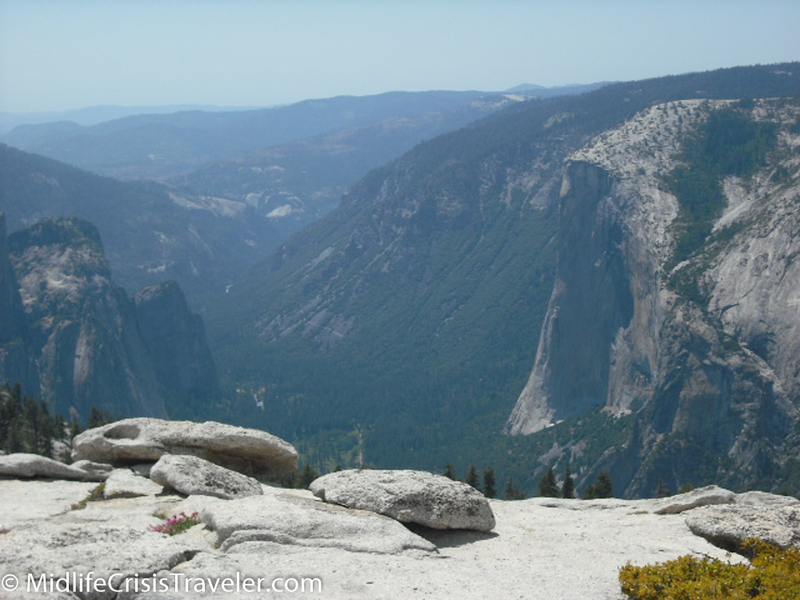 Finally, Glacier Point is one of the most popular sites in Yosemite and is located at the end of Glacier Point Road. This location sports similar views as Taft Point except it’s not a straight down/over the edge/heart stopping view. There is ample parking and almost always dozens or hundreds of tourists admiring the view. All three of these locations are within a couple of miles of each other and provide amazing perspectives on the park and the world. My favorite is Sentinel Dome. If you’ve been to all three, which is your favorite and why? 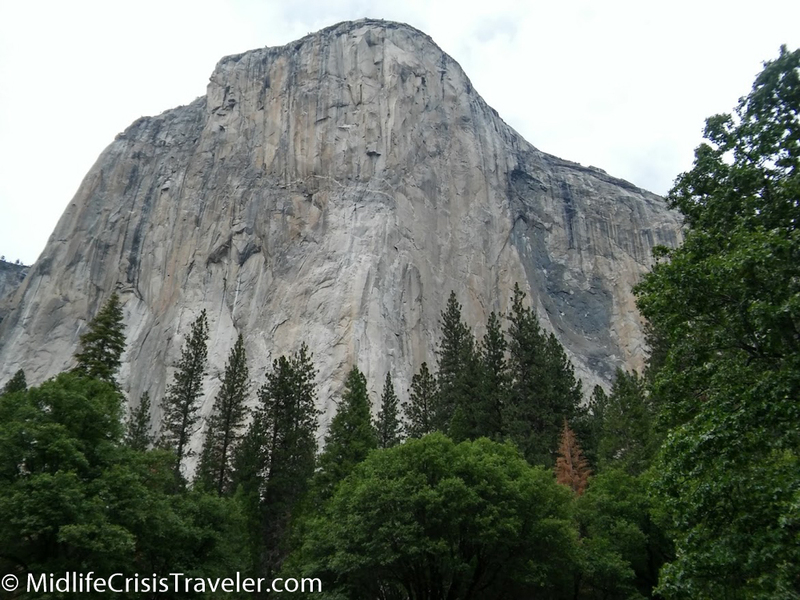 Yosemite is not just massive slabs of granite jutting out of the ground. 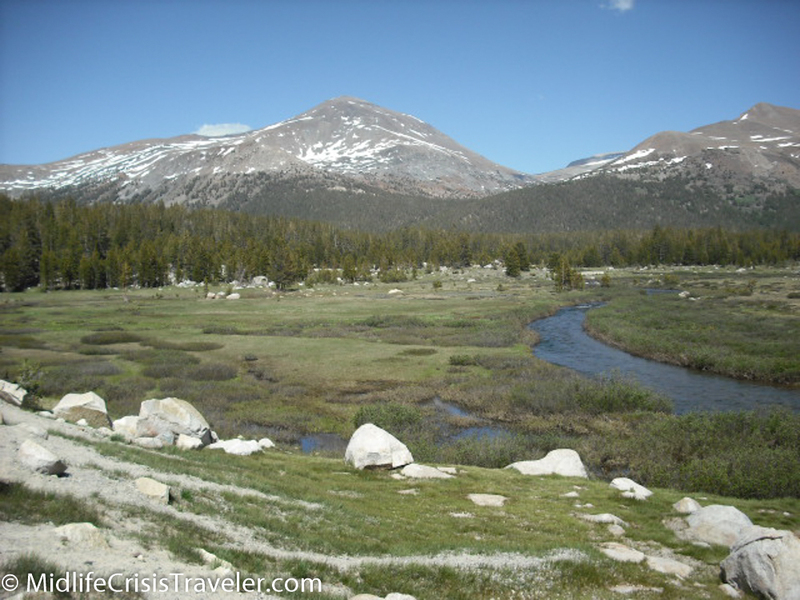 Lush meadows are rolled out like carpet throughout the park. 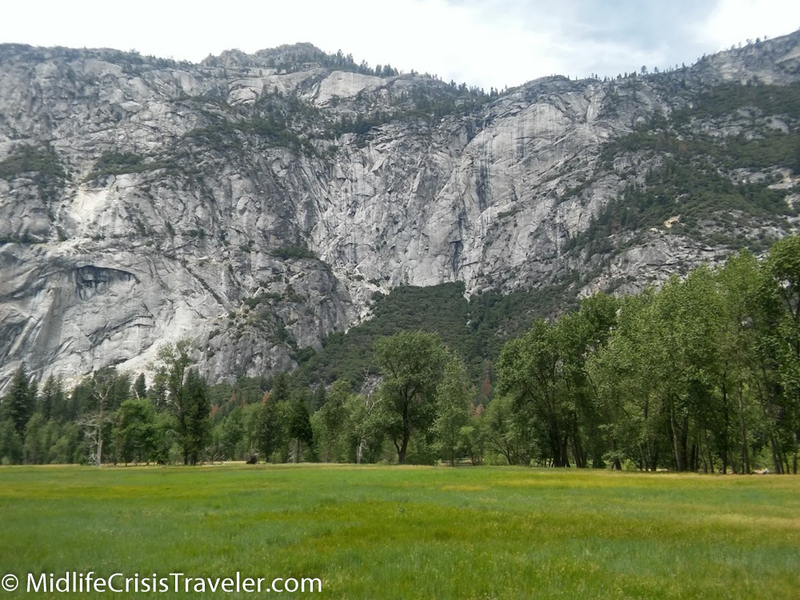 Yosemite Valley has some of the most beautiful grasslands you will see for hundreds of miles. In some areas, the grass is almost fluorescent in its glow as the sun’s rays illuminate it on a cloudless day. With so much vegetation, area wildlife has a full menu of food to choose from. Grass, oats and rotting logs filled with insects and worms give predators a smorgasbord of fuel to get through the cold winters. 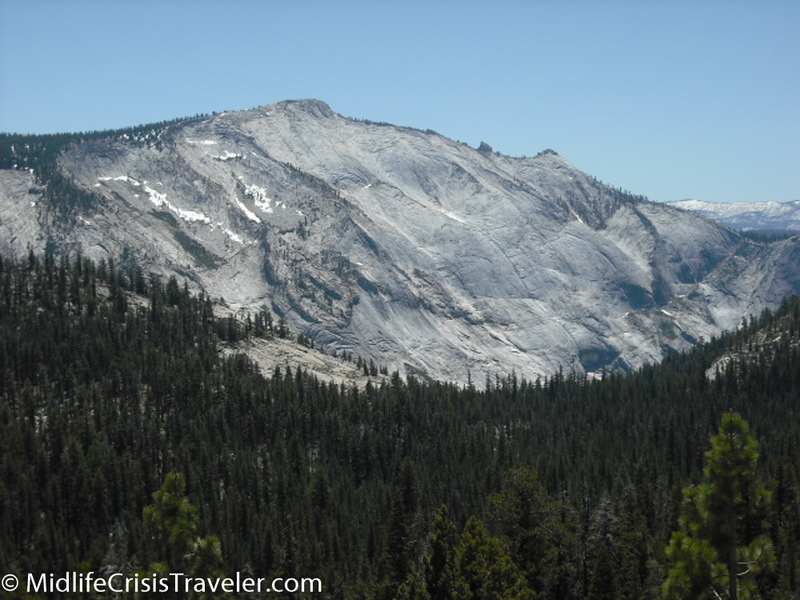 The Tioga Road, which runs east/west through Yosemite is only open during the summer season. 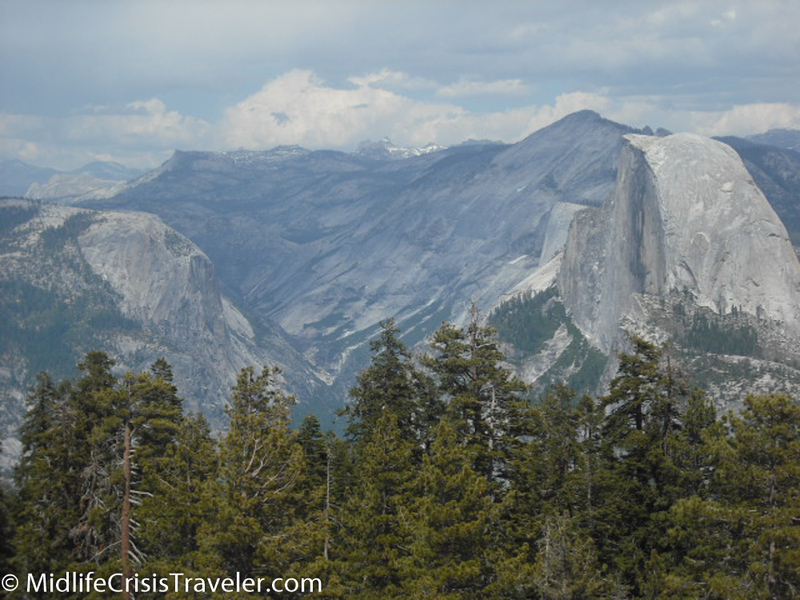 In Yosemite, summer might not start till late June or sometime in July. Work crews may have to clear several feet of snow around Memorial Day weekend so the road may be open for visitors. 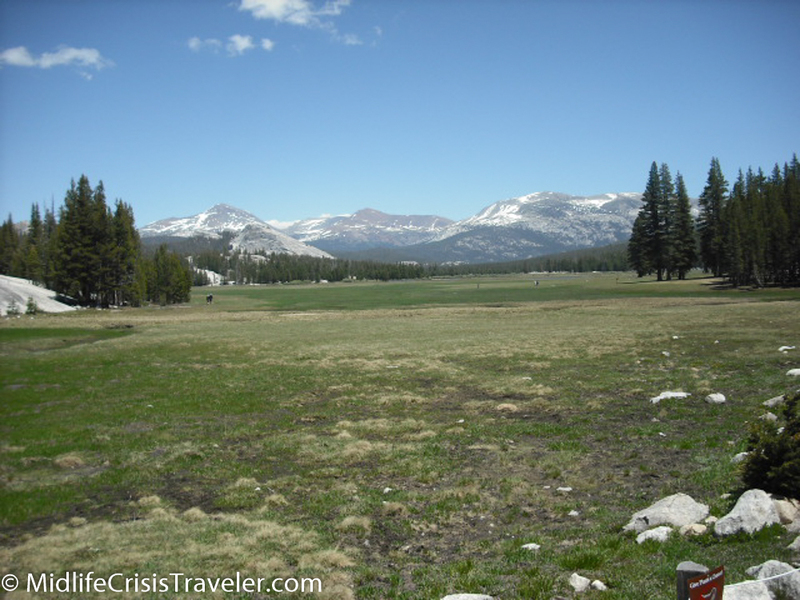 Tuolumne Meadows is a gorgeous, wide open landscape on Tioga Road. 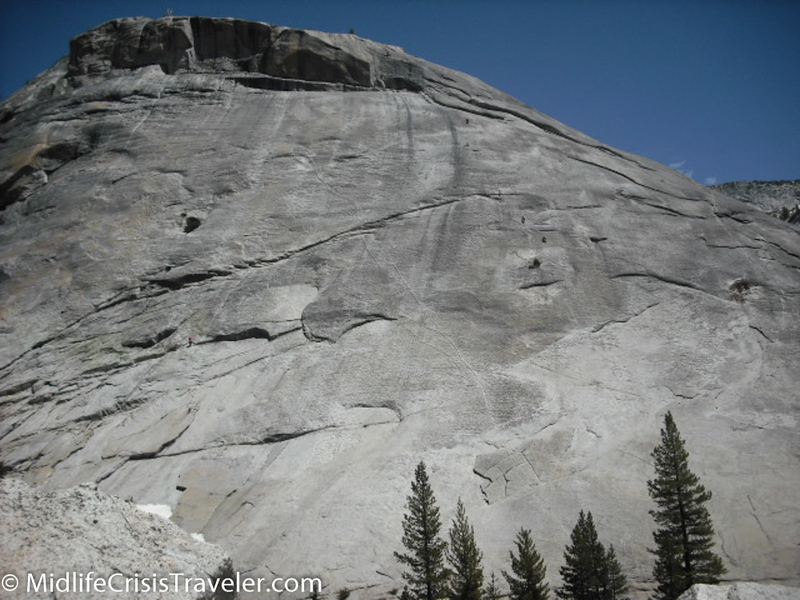 Lembert Dome is very popular with climbers. Walking across these marshy expanses can be treacherous. Not that you will be mauled by bears, but the mosquitos will attack you in droves as soon as you try to cross these wetlands. The soil is extremely wet and you are advised to keep off the middle of the grasslands as much as possible. The national park service does its best to minimize the impact that visitors have on the environment and wildlife in the parks. Staying on designated trails is an important rule that must be followed to maintain the ecosystem. These pictures were taken in July 2010. Snow is usually still visible on the higher elevations and in shady areas of lower elevations. In years where the snow pack has been significant, flow to the waterfalls can be heavy through the beginning of August. This also benefits these meadows as they soak up huge amounts of water. There are times where fires can ravage a park. Prescribed burns are conducted by the park service to eliminate useless scrub brush and strengthen all living areas of the parks. Despite their best efforts, fires still destroy acres of park land in the US every year. 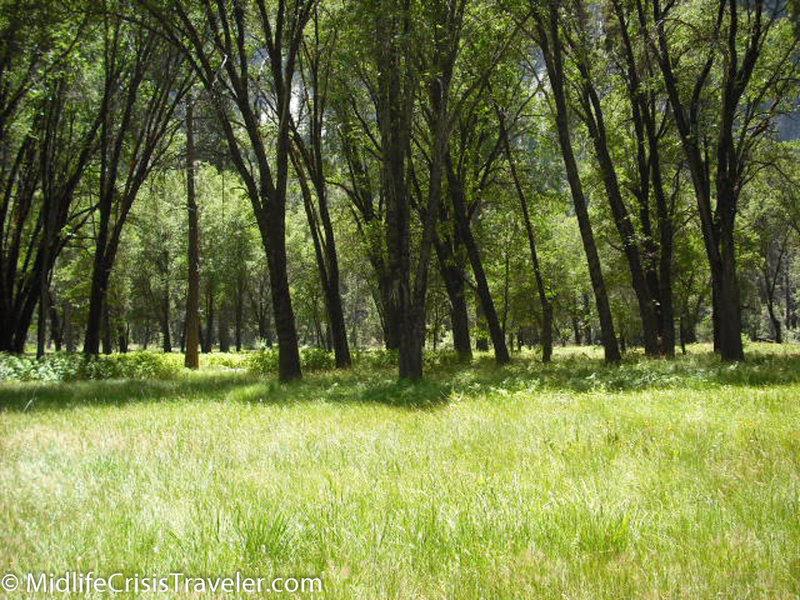 It may take decades after a fire to restore the full vibrancy of an area devastated by a fire. Grasslands can help in the meantime with preventing soil erosion as larger trees and bushes begin to grow back to their regular size. Mother nature always finds a way to heal herself. Have you been to any of these meadows? Which one is your favorite and why?